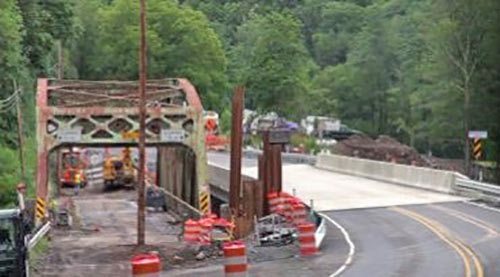 The Mehoopany Bridge project included the re-alignment of SR 87 and the construction of a new bridge over Mehoopany Creek. TWT was responsible for the extensive Hydrology and Hydraulic Analysis of the Mehoopany Creek and Watershed, as well as the design of the replacement structure. The Mehoopany Watershed encompasses approximately 122 square miles. 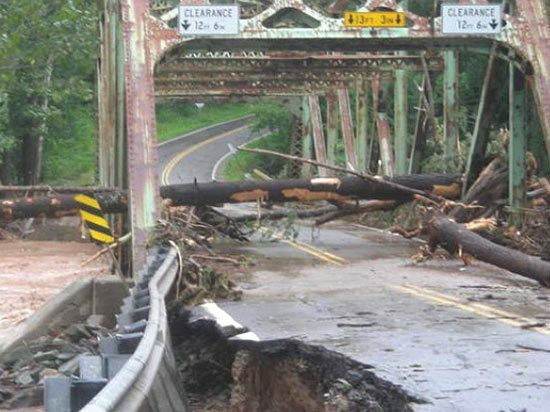 One of the critical design elements was to set the bottom chord of the bridge above the 100-year flood elevation, as flood waters have inundated the bridge and caused significant roadway damage three times in the last few years. TWT performed an H&H study that was crucial in setting this design flood elevation which had been underestimated in previous studies. Another critical design element was the design of the scour protection measures along the abutments and pier due to the extreme flow volume and velocities. The old single-span, built in 1932, is a 150-foot-long steel truss bridge, now replaced with a two-span composite pre-stressed concrete PA bulb tee beam with a span of 160 feet. The new bridge was constructed immediately downstream of the existing bridge in order to maintain vehicular traffic flow during the construction of the new bridge.